Bhubaneswar: Odisha Chief Minister Naveen Patnaik on Thursday inaugurated 653-meter-long rail over-bridge near Pokhariput in Bhubaneswar, which has been built at a cost of Rs 32.55 crore. The flyover connects Pokhariput, Jagamara, Sundarpada, Bhimatangi and Old Town here. Sources said construction work of the rail overbridge that had begun six years ago in 2012 was completed in the first week of this month. 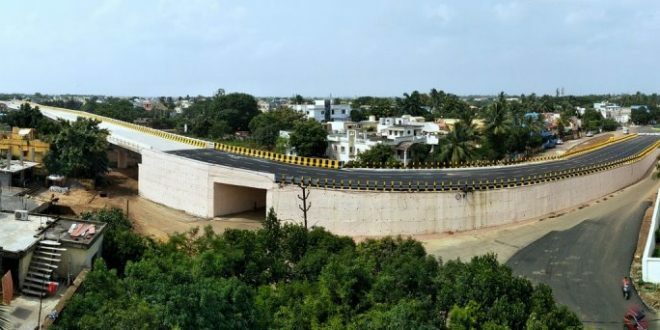 The 653-metre bridge, executed by Panda Infra, the same agency that had undertaken the Bomikhal overbridge project, has been constructed at a cost of Rs 32.55 crore, said sources.